Dr. Ross Wilkins says he always knew he wanted to be a doctor. He had a lot of experience growing up, since his dad was a doctor. Brooke Pengel, MD, pediatric sports medicine physician with Rocky Mountain Pediatric OrthoONE, referenced a study that suggests dynamic stretching is more beneficial than static stretching. Erica Lyons, athletic trainer, demonstrates several dynamic stretching exercises. Dynamic Stretching vs. Static Stretching. Which one is more beneficial for athletes prior to exercise? 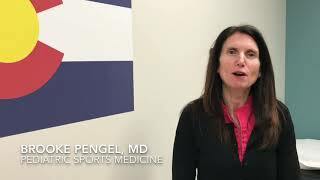 Brooke Pengel, MD, pediatric sports medicine physician with Rocky Mountain Pediatric OrthoONE, compares the two types and sheds light on recent research related to this topic. Join Dr. Rachel Biber Brewer at the top of Lookout Mountain in the third and final episode of “Dr. Brewer’s Running Tips.” An avid runner, Dr. 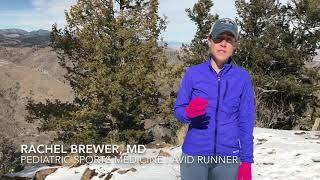 Brewer is a pediatric sports medicine physician with Rocky Mountain Pediatric OrthoONE. In this video, she provides a few tips to avoid injury when running. How Much Running Mileage is Safe for You? Which Type of Running Shoe is Best for You? Kids specializing in one sport – good idea or bad? 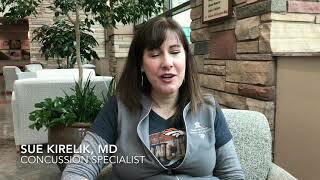 Hip Dysplasia in Infants | Laurel Benson, M.D. How Safe is Anesthesia? - Laurel Benson, M.D. Physician Overview - Jaren Riley, M.D. Cast Infections - Laurel Benson, M.D. Explanation of Scoliosis - Jaren Riley, M.D. Scoliosis Treatment - Jaren Riley, M.D. Scoliosis Surgery - Jaren Riley, M.D. Scoliosis Surgery Goal - Jaren Riley, M.D. Surgery Incisions - Laurel Benson, M.D. Untreated Scoliosis - Jaren Riley, M.D. Signing Casts - Laurel Benson, M.D. 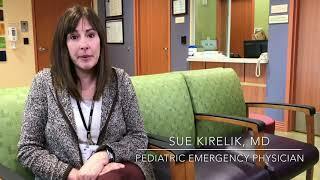 Children Anesthesia - Laurel Benson, M.D. Hip Surgery - Jaren Riley, M.D. Hospital Stays - Laurel Benson, M.D. Childhood Injuries - Laurel Benson, M.D. 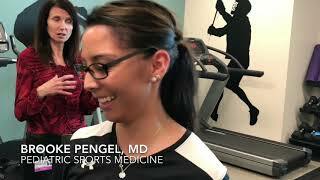 Sports After Surgery - Laurel Benson, M.D. Procedure Study - Jaren Riley, M.D. Itchy Casts - Laurel Benson, M.D. Growth Plate Importance - Jaren Riley, M.D. Pediatric Surgeon - Laurel Benson, M.D. Orthopedic Trauma - Jaren Riley, M.D. Growth Plates - Jaren Riley, M.D. Growth Plate Trauma - Jaren Riley, M.D. Adolescent Hip Disorders - Jaren Riley, M.D. Avoiding Hip Replacement - Jaren Riley, M.D. Pediatric Orthopedics - Jaren Riley, M.D. Children with Casts - Laurel Benson, M.D. Why Dr. Wade Smith Became a Dr.